Striking the right balance of fear, challenge, and tension is a difficult challenge for developers making a survival-horror game. 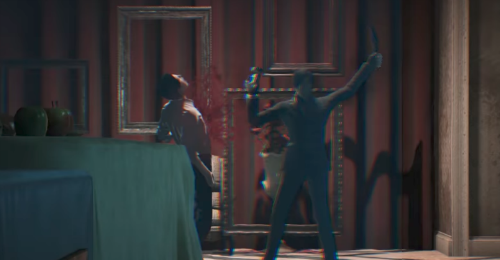 Fortunately, The Evil Within 2 handles each of these with grace. The semi-open world creates a refreshing experience from the linear adventure of the first game, creating tense moments where the choice of exploration can yield essential resources but at the risk of death. If you're looking for another survival-horror fix after playing Resident Evil 7 this is your game. 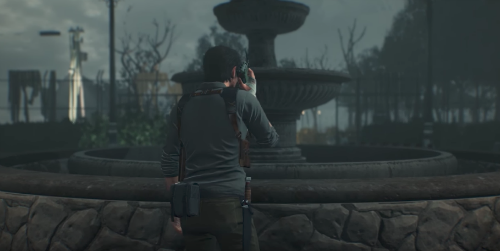 The Evil Within 2 takes place several years after the events of the first game. Detective Sebastian Castellanos has fallen back into alcoholism after being dismissed from the Police Department. No one believes him about what happened and coupled with the guilt of losing his family has broken Castellanos. However, it turns out that his daughter Lily is still alive within an unstable world called Union. A shadowy organization called Mobius has recruited Castellanos to reenter the nightmarish world of STEM once again in hopes of saving Lily. The story still suffers from pacing issues. The first half starts slowly with very little memorable moments. Then the second half ramps up the intensity by providing reality bending environments that showcase what's like to be trapped in the minds of killers. Despite this, the tone remains constant with fantastic lightning and deadly monsters. At all times I was constantly on high alert, wondering what new horror would enter my view. From the start, a sense of nostalgia sinks in from the first game. An eerie calm draping itself around the world before the grotesque creatures and dangerous killers enter the light. The Evil Within 2 feels more like an adventure and less like an isolated set of levels. While there is still linear sections exploration is available now. The town of Union serves as the HUB world with optional missions and helpful items littered around. The environment is more much interconnected, focusing on several large maps with multiple points of interest. It's by going off the main path and heading into these unexplored areas in search of resources that create much more suspense. I did encounter a few technical hiccups, including 2 crashes, but nothing too serious that I was pulled out of the experience. 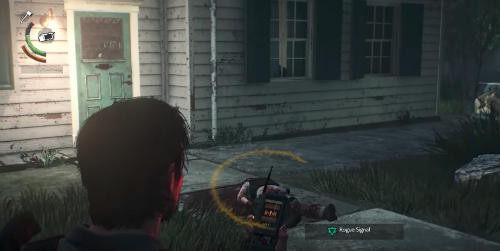 To prevent the player from getting lost a communication device is available. This allows Sebastian to track both optional and main objectives. Whether you wish to explore these avenues of interest is up to you. You can choose to avoid conflict or take your chances and reap the rewards. 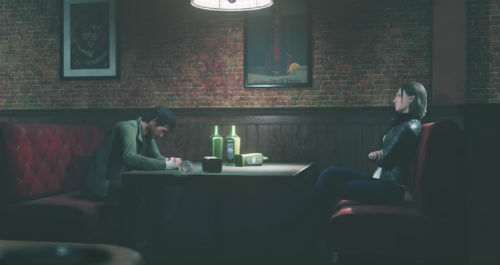 Like many survival-horror games, a safe haven is available and it's here that Sebastian can review case files and upgrade weapons and skills. With Green Gel from fallen enemies, Sebastian can upgrade his core abilities. Newly added Red Gel can unlock upper tier upgrades. Some of the skills are essential than others, such as a defense bottle attack that pushes enemies back if they grab you provided you have a bottle to hit them with. During much of the first half of the game, I felt underpowered and weak but once I grasped The Evil Within things became much more fluid. Especially after upgrading my preferred skills. Common enemies are few but far more threatening. A thoughtful approach is necessary for most situations due to the might of most of the creatures. Stealth has been improved thanks to the removal of the infamous black bars and a better kill animation. But the ability to cling to walls, peak over corners, and perform corner kills would've been a welcome addition. If you have to go loud Sebastian has an array of weapons including the standard shotgun and handgun and the returning Agony Crossbow with its 6 type of arrows. Scavenging for supplies and other materials have been added to the previously lacking crafting system. Instead of only having the ability to craft Agony Bolts now Sebastian can make ammunition for other weapons. This doesn't make the game any easier, since ammo pickups have been reduced, but gives the player more options. In addition, crafting can only be done efficiently at workbenches whereas crafting in the field requires more supplies. Like the first game, The Evil Within 2 is not an easy game. Even at standard difficulty players will have a difficult time and Nightmare mode is truly challenging. Here enemy placements change, resources are limited, and death is much more frequent. For player's looking for the ultimate challenge Classic mode disables auto-saves, upgrades, and limits your saves takes the place of Akumu mode. The constant threat of death amplified the survival experience and although can be vexing the game remains fair. Over the course of the game, the environments begin to fracture and descent into chaos as Union grows unstable. The small town is shifted into an unnerving shell straight out of a horror film. Fire and blood flood from places they shouldn't and monsters plunge sharp objects into dead bodies.These bizarre situations are frequent and caught me off guard multiple times, jumping out of my chair and my heart racing became a norm. Castellanos is a lot more relatable here. Unlike the stoic and confused detective from the first game, he's much more grounded and fleshed out. After experiencing the horror of the first game and the strong desire to save his daughter Castellanos is much more determined and confident this time around. The Evil Within sorely lacked a supporting cast of villains. While Ruvik was an excellent antagonist but he would constantly fade into the background. Now there's a more active supporting cast that actively keeps Sebastian on his toes. This includes a serial killer artist who photographs his victims upon their death and a dogmatic priest with a god complex. This doesn't mean all the characters are as memorable. Most of Sebastion's allies simply serve to move the plot forward. The Evil Within 2 doesn't attempt to do much in originality when it comes to the survival-horror genre but successfully creates a gripping tale of horror and suspend. It takes a while to get started the story eventually evolves into a captivating tale of dedication and desires. 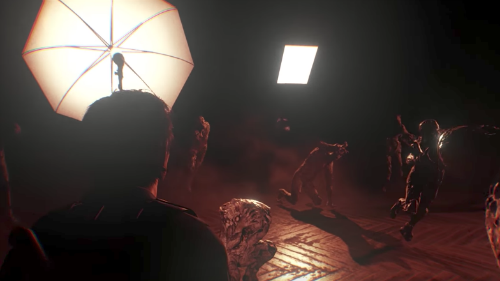 Whether it's exploring the world of Union or attempting to fend off the horde The Evil Within 2 will constantly keep anxious about what lies beyond the next room.